Internet and Interactive Media serves UNL's City, East, and Innovation Campuses with a high-powered team of specialists in all aspects of digital media. For each client and project, we employ a proven approach to your digital communications from strategy to execution, leveraging with the unparalleled resources of our partners in University Communication and Information Technology Services. With locations near City Campus at 1217 Q and on East Campus at Agricultural Communications 7B, we're always ready and available to serve you. Start your story by calling us at 402-472-9878, or by using the convenient email/chat tool at the bottom of this page. The eduStyle Web Awards celebrate and recognize the most innovative and exciting developments in key areas of higher education web development. In 2014, the University of Nebraska–Lincoln was judged the Best Overall Web Site in higher education. HubSpot included UNL in their recognition of 14 of the Best College Websites (And Why They're So Awesome). They called it "a great example of simplicity in design" and says its ample use of negative space "helps users find things better." With our partners in the Hixson-Lied College of Fine and Performing Arts, University Communication and Information Technology Services, we developed the College's new website, the first to be published in the UNLedu 4.0 framework. 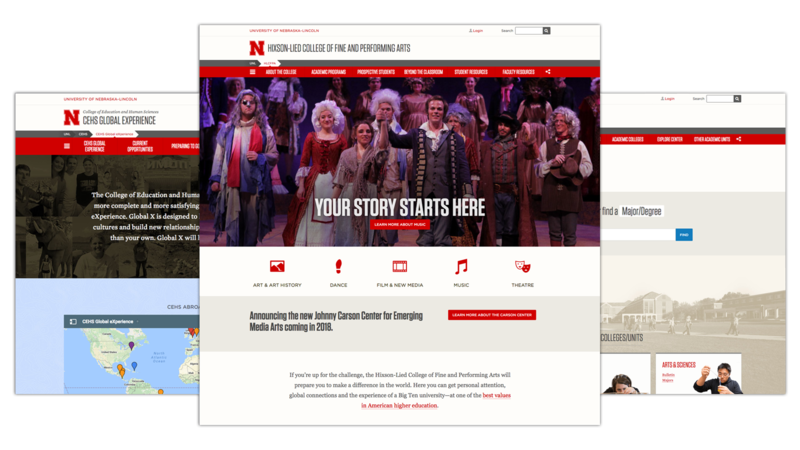 The site, at arts.unl.edu, won a Silver Award in the Council for Advancement and Support of Education’s Circle of Excellence, CASE’s highest award given in the category of ‘Institutional Websites’ for 2014. Our previous UNLedu 3.0 version was featured in the eduStyle book Usable Higher Ed Homepage Design, a review of 20 of the "best web homepages" among the 2,700 referenced in the eduStyle gallery. UNLedu 3.0 was the second major UNL web version to win eduStyle's Noteworthy award. 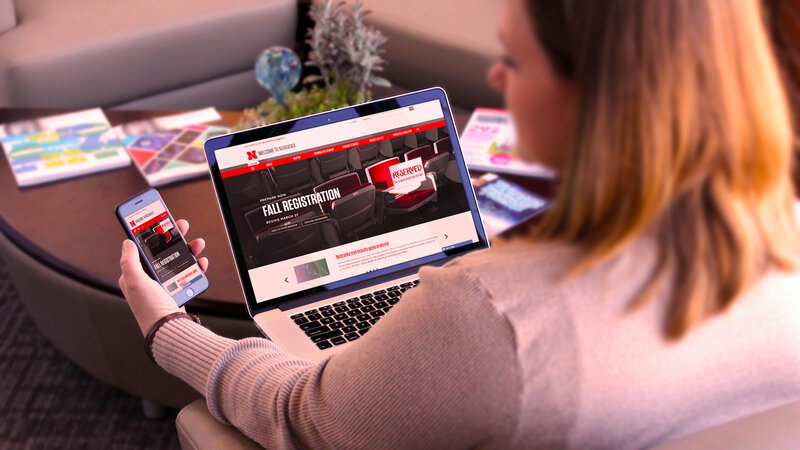 Brick by Brick, an online publication of the Washington, D.C.-based digital agency the Brick Factory, ranked UNL's website, in its UNLedu 3.0 version, second among the Top 11 Best Designed University Websites. Smashing Magazine called UNLedu 3.0 "polished and sophisticated." One alum co-founded the Asian social networking site, Plurk. Another is engaged in developing a pioneering online coaching portfolio website, Lockr. One founded the awesome subscription-based health and nutrition sample site, Bulu Box. Others have gone on to work in major agencies and web development shops. And some of our best continue to work right here, building and evolving the online presence of Dear Old Nebraska U. The UNL Internet and Interactive Media group, a partnership of University Communications and Information Technology Services, is currently seeking talented and forward-thinking individuals to help us build a great website for a great university. The University of Nebraska-Lincoln offers competitive compensation, and IIM offers a diverse and accomplished set of colleagues and a supportive work/life balance. We’re looking for someone who’ll fit right in right now, but who’ll never tire of pushing forward. STUDENTS: Even if your HTML/CSS/design experience is not deep, as long as you’re interested in working in a forward-thinking development shop and learning about the constantly evolving world of web and interactive technologies, we’re interested in you. We can offer up to 20 hours per week, at $10-12 per hour depending on experience and demonstrated technical and/or design skills. To apply, students should send an email with their resume and a brief letter of interest to Clay Lewis. For a tour drop in any time at University Communication at 1217 Q (entrance on the west side), or call 402-472-9492 or email.